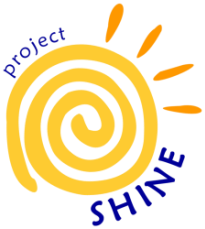 Welcome to the Project SHINE SJSU website! Project SHINE (Students Helping In the Naturalization of Elders) is an entirely student-run program at San Jose State University that connects SJSU students with service learning experience and volunteering opportunities with seniors. In the Spring 2016 semester, nearly 50 SJSU SHINE student volunteers contributed over 1,100 hours at our community partner sites!